The annual Ladies Spring Conference here at Cornerstone Baptist Church will be here before you know it. Plans are in full swing for preparations towards this exciting event! We look forward to seeing you and your ladies as our guests for “Fix-Her Upper” with our keynote speaker from Tampa, Florida, Mrs. Amy Nance. On the tabs below, you will find a signup sheet for your church to begin signing up your ladies. There are printable posters as well, and a schedule for the Ladies Conference. If you have any questions about anything please email me at [email protected] or contact me at (602) 867-2700. Every year the conference seems to get larger and larger, so for your safety and comfort, we must limit the number of ladies attending to 400. Sending in your registration list and full payment early assures your church a spot at the conference. There is a Early Registration of February 15th and Final Registration deadline of February 25th. However, if you wait until the later registration deadline and we have already reached our maximum capacity, you won’t be able to attend unless we have cancellations. Please note that you may pay by check, or online. You will still need to send us your attendance list by the deadlines stated above. The cost for this year’s conference is $45.00 per person for both days, or $30.00 for one day (either Friday or Saturday). Just as a reminder, one individual for every church, whether the Pastor’s wife or whomever she designates, will be allowed to come FREE! 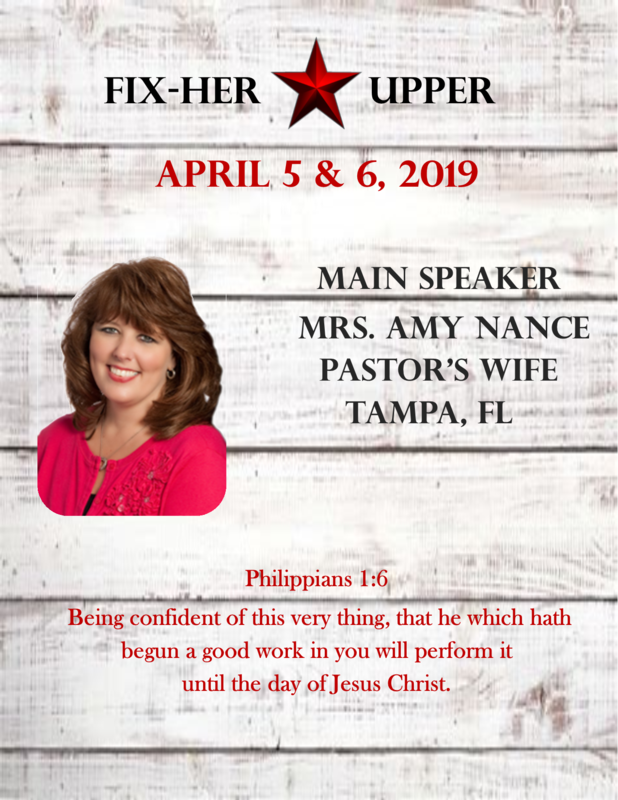 -Please make a gift basket from your ladies to be given away as a door prize at the conference. Be creative! You will be able to find examples on the tab below. If you are bringing a large number of ladies please bring 2-3 baskets! We would prefer that if you make any religious themed baskets that you stay with KJV themed items only. The more gift baskets, the more chances the ladies have of winning a door prize. Be a blessing to someone today! -We are including young ladies 16 years of age and older in the conference. There will be a separate Break-away session for our teen girls, so please make sure they are signed up under the teen column so we can properly prepare for the correct amount. Looking forward to seeing each and everyone of you. Hopefully, you will be able to bring some new ladies with you. Again, if you have any questions regarding this letter or about the conference, please do not hesitate to call me. I look forward to hearing from you. See you all on April 5 & 6! !